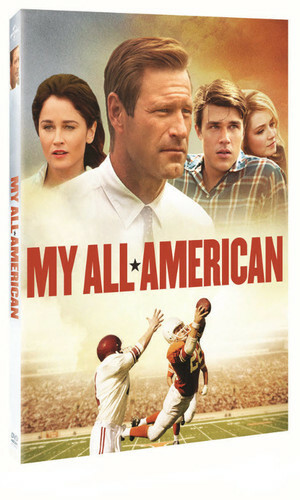 From the writer of Hoosiers and Rudy, My All American tells the true story of Freddie Steinmark. Although deemed too small as an athlete, Freddie (Finn Wittrock) dreams of playing football and brings a fight to the game that is noticed by legendary coach Darrell Royal (Aaron Eckhart), leading to a scholarship to play college football. With dedication and grueling practices, a victorious season is within reach, but Freddie then receives a shocking diagnosis and discovers what it truly means to have a heart of a champion.